A lifelong trade unionist and social activist, Allan Engler proposes workplace and community democracy in Economic Democracy. Apostles of Greed: Capitalism and the Myth of the Individual in the Market (Fernwood Publishing, 1995). Economic Democracy: The Working Class Alternative to Capitalism (Fernwood Publishing 2010) $ 15.95 978-1-552663-46-2. Capitalism is widely viewed as competitive enterprise directed by market forces, a system that delivers economic growth, rising living standards and democracy. Allan Engler holds that capitalism is actually based on social labour, private capitalist entitlement and workplace dictatorships, a system that destroys environments, widens disparities and relies on repression, militarism and war. For most of the twentieth century, the alternative to capitalism was thought to require armed uprisings, authoritarian states and party dictatorships. Engler argues that economic democracy - equal human entitlement, social ownership and workplace democracy - is an alternative that can be won without violence through workplace organization, community mobilization and political action. Wage and salary workers already do everything required for human well being. Economic Democracy, written from a working-class perspective, provides a vision of a world of human equality, democracy and cooperation. And shows us how to get there. Al Engler worked for many years as a cook on coastal towboats and for a decade as secretary-treasurer and then president of Local 400, Marine Section, International Longshore & Warehouse Union - Canada. He has participated in movements to protect environments, movements against militarism, war, and imperialism and movements promoting social housing and the rights of women, native people, immigrants and gays and lesbians. 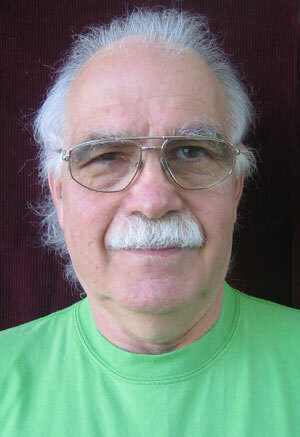 He is author of Apostles of Greed: Capitalism and the Myth of the Individual in the Market (Fernwood Publishing, 1995).